The third book in the Mother-Daughter Book Club series by Heather Vogel Frederick follows the girls for a new year of humor and friendship. 1. Which character has changed the most since the first Mother-Daughter Book Club and its successor Much Ado About Anne? Why? 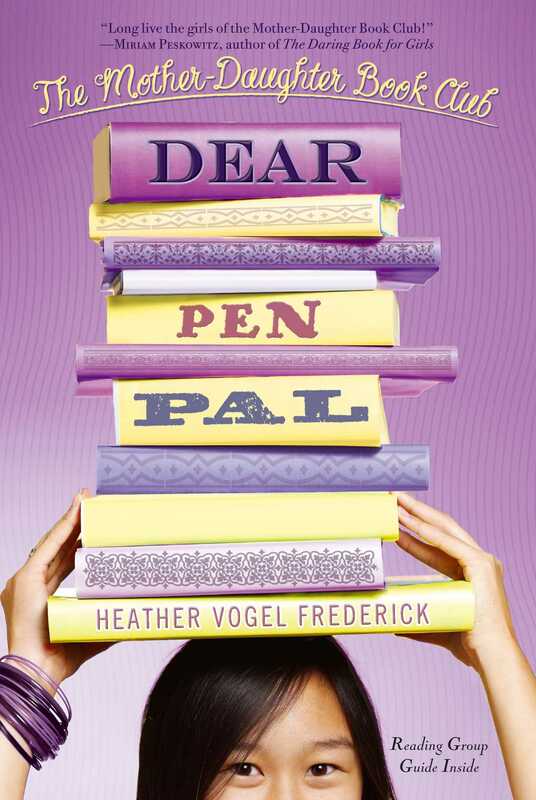 2. Who is your favorite character in Dear Pen Pal? Has your favorite character been the same in all three books? Why or why not? 3. 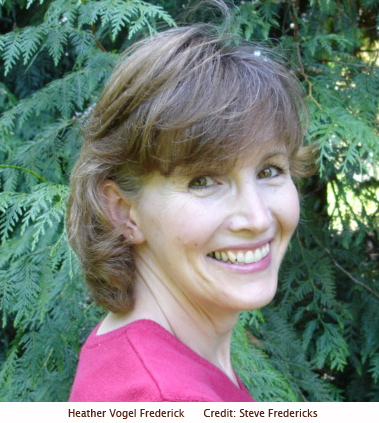 Have you ever read Daddy-Long-Legs, Dear Enemy, or Just Patty by Jean Webster? If you have, did you like them? If not, are you now interested in reading them? 4. Do you know anyone who goes to boarding school? Do you think you would like it, or would you hate to be away from your friends and family like Jess does? 5. In this book, similar to Daddy-Long-Legs, all of the girls get pen pals. Have you ever had a pen pal? What did you write to them about? Did you write snail mail letters, or send e-mails? Have you had the chance to meet your pen pal in person? 6. Emma is terrified of speaking in public. What fears would you like to conquer? 7. Savannah volunteers at the local animal shelter. Do you, or does anyone you know, volunteer? What organizations would you be interested in helping? 8. Megan feels like she is stuck in the middle with her mother and grandmother. Have you ever felt like you were trying to please two people at once? 9. Jess has a roommate at her new school. Have you ever had to share a room? 10. Emma, Cassidy, Megan, and Becca go on their class trip to Washington DC, where they see several famous landmarks and museums. Have you ever been to Washington, DC? What would you like to see there? 11. Emma decides to write an editorial to protest the school uniforms. Is there anything you would like to change about your school? Do you think Emma’s editorial was the best way to ask for change? 12. Have you ever had to babysit before? What do you like, and what don’t you like about babysitting? 13. Do you like trying new kinds of food? What is the most exotic food you’ve sampled? What did it taste like? 14. The girls travel to Wyoming to meet their pen pals. What is the farthest you have traveled? What did you do there? 15. Do you think Cassidy and Savannah were right not to listen to the adults when sending Savannah out into the storm to look for the lost riders? What were the reasons the parents didn’t want Savannah to go? If you were in a similar situation, what do you think you would have done? 16. Have you performed in a talent show? If so, what did you do? If you haven’t, what do you think your talent would be? 17. Like Megan with Summer’s quilt, have you ever gotten a present you didn’t know how to repay? Do you think that it’s important to always have a present to give in exchange for a present that you get? 18. Eventually Jess and Savannah become friends after not getting along initially. Is there someone that you have given a second chance to who turned out to be a good friend?